The truth is I should probably answer “yes” to both of the latter questions, as my family’s health was deteriorating from the heavily fluoridated water supply, the grid pattern of chemtrails seen daily over our house, the GMO food supply, the “Round Up” contaminating yards and fields all around, the electromagnetic pollution emitted by WiFi and cell towers everywhere…etc. However, I usually sugar-coat my answer by saying that my husband retired for health reasons, my son loves the ocean and nature, and that I wanted to embrace a simpler and more relaxed lifestyle. After all, these things are also true. But if I really dig deep down into the essence of my being for a response to the first question, it would be that I was “called” to come here. I don’t know how or why, but I do know that eventually, the purpose will be revealed to me in the end. It always is. And, I know that because I answered that call, I will be alright. 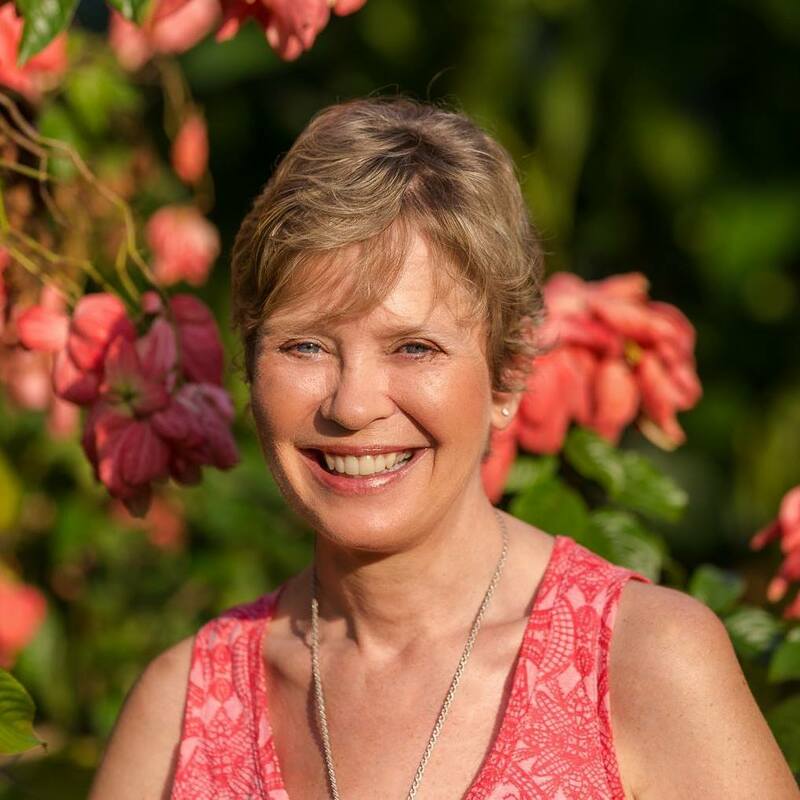 The journey of my work as a psychiatric drug survivor and Pharma whistleblower has been a remarkable one. Through this work, I have discovered my personal truth which is, I am a magnificent spiritual being here having a human experience. Moreover, I am the creator of that experience. Most psychiatric survivors don’t sit well with that idea. How or why on earth would they “choose” or “create” such malevolence and trauma in their lives? Surely, this was perpetrated upon them by evil forces and profiteering corporations without a human conscience? Indeed! That is, in truth, a part of it. Again, there are multiple truths. That perspective is just a limited myopic view of the bigger truth: the person who chooses/creates this experience is a true spiritual warrior. They have been initiated by subjecting themselves to the most sacred of sacrifices in order to walk the path of the wounded healer, otherwise known as the hero’s journey. It is a life drama when played out that will separate the wheat from the chaff and only the strong will survive. It is only when we can take our power back that we begin to heal and then, to thrive. We must first acknowledge our own humanity, and then fully embrace our divinity, in order to find salvation on this path. For years I have resisted working with individuals one-on-one. Survivors can be difficult for me to deal with. The situation is much too close to my heart, and I am too empathetic to detach myself emotionally. So, I have insisted on being on the front lines of this battle leading the charge, in the media, testifying before Congress and the FDA, speaking to large audiences, appearing on TV and in documentaries, rather than tending to the wounded in the trenches. I can take the ugly attacks online and in person by the ignorant public masses. What I could not endure was to be attacked by the very people I was trying to help and represent! Moving to Costa Rica has now coaxed me back into the trenches. Unable to legally work here, I have been forced to earn a living via the internet as a health coach. Since I don’t sell anything other that a paperback book, I am limited in my retail income opportunities. Logically, I have attracted a clientele of psychiatric survivors who are attempting to recover their health and alleviate their symptoms. So, as I sit here introspecting, surrounded by the jungle, with the knowledge I have garnered in over 57 years of life, 18 years of formal education, 20 years of employment with Pharma and the natural foods industry, and over 10 years as a researcher, writer and health activist, it all comes down to this: I have been called to serve humanity, and the human race is comprised of individuals. No one is better or more special than another. We are all one family. We must be willing as individuals to heal ourselves. Then, when we are able, we must use love, compassion and knowledge to help others. It begins with self-empowerment and taking responsibility for your spirit, mind and body temple. You are the steward of your lighthouse. It is you who must guide yourself home! Foremost, we must not be attached to our persona, or the image we have of ourselves in relation to others. If life has taught me anything, it is that this self image morphs and radically changes with time. Be willing to meet yourself where you are at present with compassion. Forgive any past transgressions by self or others. Beating yourself up doesn’t serve anyone. And, picking a fight with your fellow man may leave you bloody and bruised. As trite as you may think it sounds, we must learn to love our neighbors as we love ourselves. When we focus on the blessings in our lives they expand. Our perspective is based on our belief systems, and it is necessary to change our minds before we can change our physical realities. After all, one doesn’t change a bad movie by throwing rocks at the screen. You simply change the channel, and switch to another program! I may not know exactly why I moved to Costa Rica for awhile. Yet, I am at peace knowing that as long as I embrace the adventure by following my inner compass, and care for myself and others, I will be just fine. I am loved and supported. When that occasional fear does rear its ugly head, I just remember my ultimate truth: that which is in me is greater than that which is of this world, and someday, it will lead me home. Wounded healer is a term created by psychologist Carl Jung. The idea states that an analyst is compelled to treat patients because the analyst himself is “wounded”. The idea may have Greek mythology origins. Research has shown that 73.9% of counselors and psychotherapists have experienced one or more wounding experiences leading to their career choice. The analyst is consciously aware of his own personal wounds. These wounds may be activated in certain situations especially if the analyzed wounds are similar to his own. The analyzed wounds affect the wounds of the analyst. The analyst either consciously or unconsciously passes this awareness back to his analyzed, causing an unconscious relationship to take place between analyst and analyzed. 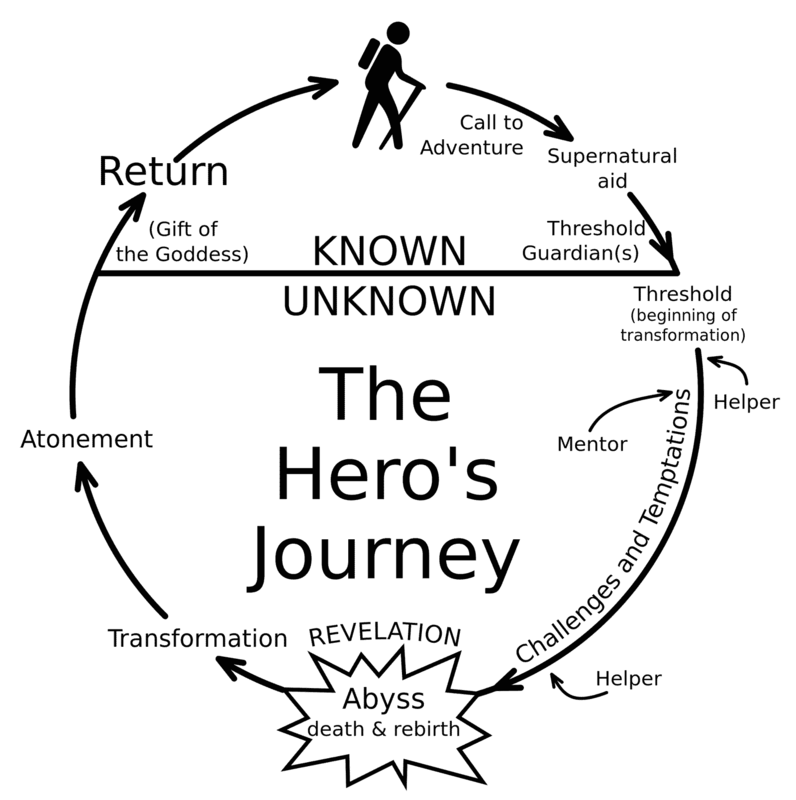 The Hero’s Journey is an archetypal story pattern, common in ancient myths as well as modern day adventures. Departure: the Hero leaves the familiar world behind. Initiation: the Hero learns to navigate the unfamiliar world of adventure. Return: the Hero returns to the familiar world. Separating the wheat from the chaff — In the process of winnowing, as it has been carried on in the East for thousands of years, the grain is tossed into the air so that the wind may cause a separation of chaff and straw. The light husks from the wheat and fine particles of straw are dispersed by the wind in the form of a fine dust; the heavier straw which has been broken into short pieces by the threshing process falls near at hand on the edge of the threshing-floor, while the grain falls back upon the pile… This straw is ordinarily saved and fed as “roughage” to the animals. It could easily be gathered and burned, as indicated in [many Biblical] verses, while the chaff is blown away beyond recovery, a strong figure to depict complete annihilation. I am also a wounded warrior. How im alive is truly a miracle, I will save the world one person at a time. we will slay the Evil empire. Gwendolyn, you’re still beautiful. I hope you and your family are well. Thank you, thank you for your work!! You are a true inspiration for those of us that know the truth to speak out loud and clear and often. We never know who may be listening that needs the message or who may be encouraged to search for themselves so THEY can pass on the truth! I too worked in the drug industry for 24 years Gwen. My sister-in-law came across an interview you did and asked me if it was true. I said that I agree with every word you said, and so much more. I applaud the work you are doing and your bravery in writing the book. I retired early from Pfizer because I could no longer do what was being asked of me.